No swatches for Quiz Safari White yet! 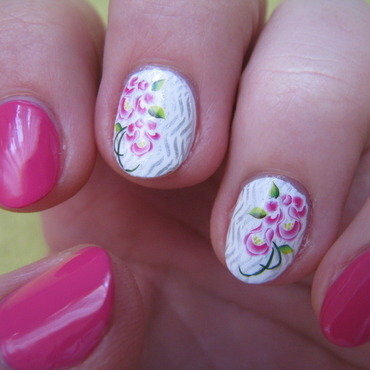 After I painted my nails with white and pink color, I stamped design from B.01 (geometry is perfect) plate. At the end I added pink flower water decals and top coated everything with Poshe.